Are you looking to become a highly respected professional in the world of logistics and progress your career? If you are, you need to call the experts today on 01202 873 911. 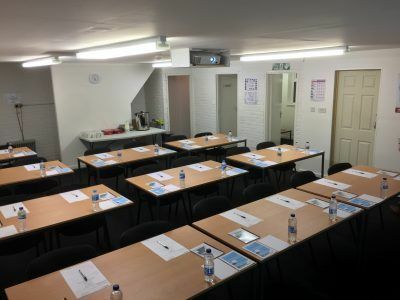 You will be able to speak to the friendly team, here at Wayside Transport and we can arrange for you to receive the finest CPC training Southampton has to offer. When it comes to the world of transport, there are strict procedures and rules that must be adhered to. Here at Wayside Transport, we make sure that every driver, both new and experienced, that comes to us is totally ready to tackle the challenge they have set themselves. This means helping them choose the correct courses to gain the necessary qualifications and providing tuition, such as CPC training in Southampton, which is second to none. In this way, our Southampton CPC training is highly sought after and is necessary if you are looking to be a part of the ever-growing world of haulage and passenger transport. CPC training Southampton (Certificates of Professional Competence) is necessary for both new and experienced drivers, whether it is a first-time qualification or simply topping up your certificate to ensure you can carry on driving in your career. This is a legal requirement, so it is very important that you have in-date certification and that we provide you with the best CPC training Southampton can provide. Why Choose Our Southampton CPC Training? When it comes to logistics and driver training, you won’t find a team that is more dedicated and has more experience to offer than Wayside Transport. We always make sure that our method of teaching matches the pupil, so that information retention is at the maximum. This will lead to more efficient learning and better absorption of the information you need to be a competent and successful driver. We will spend time ascertaining your specific strengths and weaknesses so that any areas that are in need of improvement can be focused on more than those you are naturally suited to during CPC training Southampton. What this will achieve is that you become a well rounded and more complete driver on the whole by using our CPC training Southampton. On top of offering the finest Southampton CPC training, we are also experienced and well versed in LGC training, LGC instructor training, and PCV training as well. Our instructors are all very experienced and have proven track records for achieving excellent results. Our CPC training in Southampton is well known for being the best. This is proven by the myriad of customers that approach us having heard about us through a friend or family member. We also receive a lot of feedback and our CPC training Southampton. We are proud to maintain such high standards so that we can prepare new drivers for the roads and all of the obstacles they may face during their time as a logistics specialist. If you would like to know more about CPC training Southampton, or any of our other services, contact us, here at Wayside Transport, today on 01202 873 911. Our experts will be able to help you make an educated decision about how to continue your transport career and give you the tools to succeed.